Great news - Model Market, the streetfood nightmarket in Lewisham, SE13, is back for 25 weekends in the spring and summer of 2016, starting on Friday 15th April. It'll be open every Friday and Saturday from 5pm, with lots of great traders including Club Mexicana, Mother Flipper, Mama's Jerk, Sub Cult, SE Cakery, and You Doughnut, plus lots of bars and #vibes. It's free to get in before 7pm, and £3 after that. 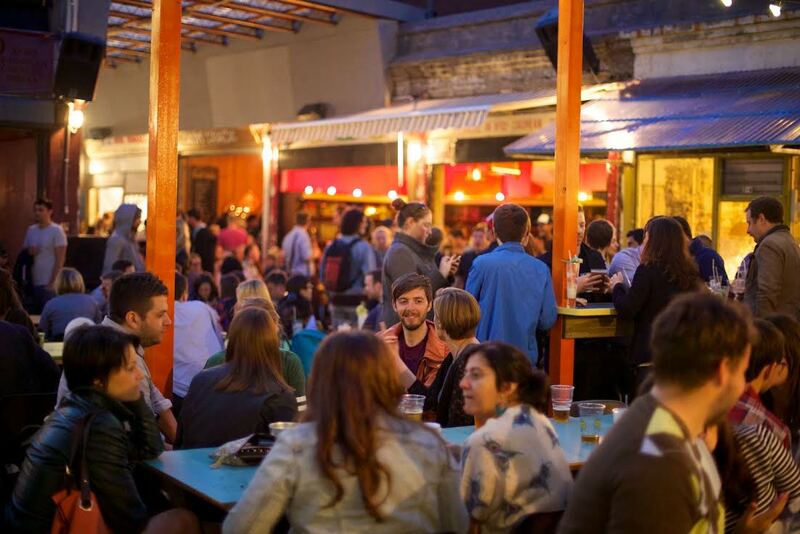 The bars at Model Market all take cards, but don’t forget to bring cash for the food. So looking forward to this one! 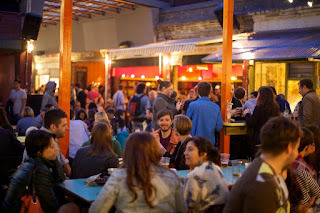 "Model Market, the indoor/outdoor night market from Street Feast is back in its Lewisham home, launching Fri/Sat 15/16 April and running all summer long. Head down to SE13 for 10 fantastic micro-diners, five brilliant bars and a world-beating night out. Alongside Lewisham locals SE Cakery, Mama’s Jerk and Mother Flipper some of our favourite traders return to the line-up including Club Mexicana, Rola Wala, Up In My Grilland Yum Bun. Plus, three new traders make the move south east with HotBox, Sub Cult and You Doughnut joining the party.Work your way around and eat the world without leaving Zone 2. We’ve got your sunshine drinking sorted. Take a bar safari around our five watering holes - start with a giant festival-sized cocktail at Rotary Bar, grab an Uber Melon at the Rum Shack to enjoy on the Lewisham Beach, shimmy to the Slushy Bar for a Tequila Colada, and soak up the sun on the Lewisham High Line with an icy-cold beer. Finish at Winyl for breaks, grapes and grooves until 1am." Now, that's what I say to welcoming in summer in London. I'll be there for sure.